Burnaby, B.C. - It was a thriller last night inside Lorne Davies Complex. SFU would play their home opener in their SFU Showdown in front of a packed house. 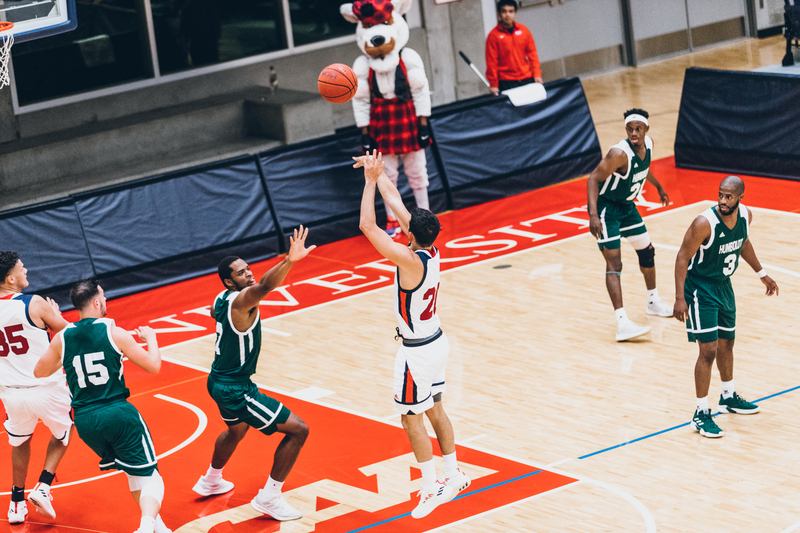 In the first 20 minutes of play an anxious SFU came out flat and it opened up the door for the Lumberjacks to have a well put together first half showing. Humboldt would shoot 47% from the field, 40% from the 3-point line and get strong contributions from their bench, who out scoring the Clan’s bench 29 to 7. The Clan hung tight in the first half but couldn’t get over the hump, closing the half down by 10. It would be a major change of events in the second half. The Clan came out relentless, playing sharp basketball on both ends of the floor. The Clan offense shot 48 percent from the field and 50 percent from three. Leading the charge would be, second year transfer, Julian Roche and star freshman Wilfried Balata for SFU. 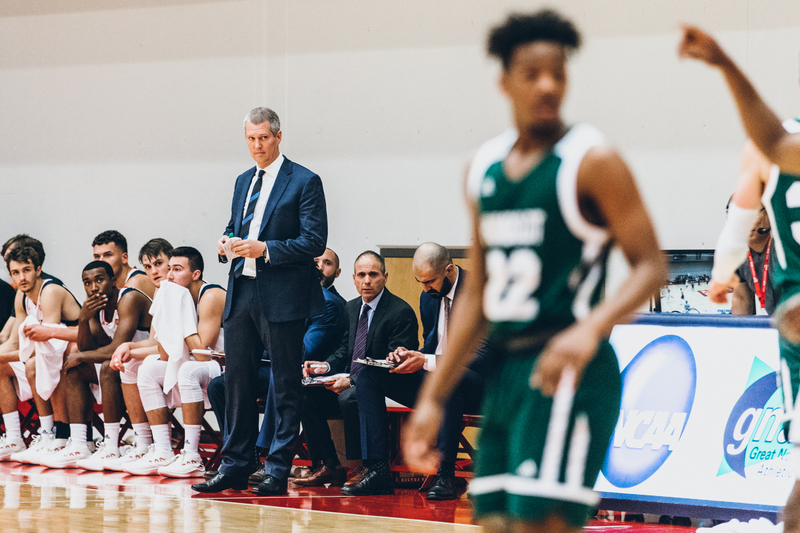 Balata would end the game with 22 points and 7 rebounds while Roche recorded his first double-double in the game with 18 points and 11 rebounds. In the games last two minutes of play, the back and forth lead changes had an already ecstatic crowd on edge with the game near ending. 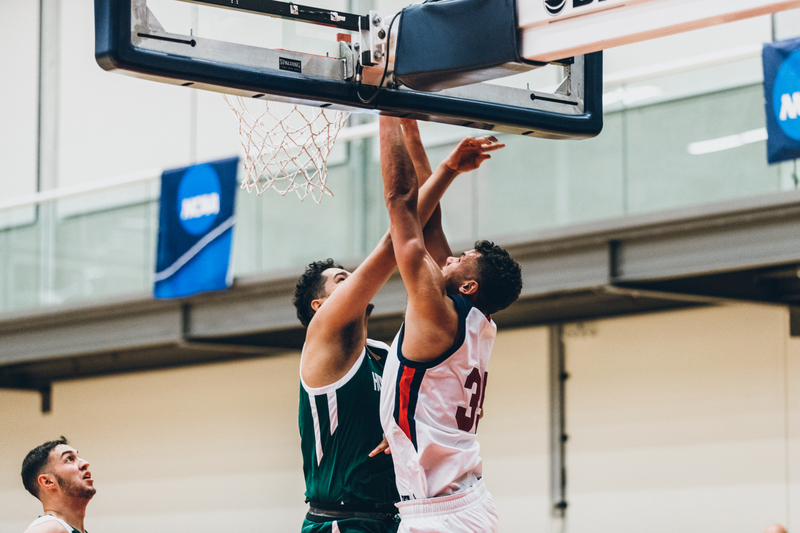 It would be guard Michael Provenzano’s mid paint floater and Graham Miller’s huge block that would put SFU in position for a great finish. Ultimately a few trips to the free-throw line down the wire would lock in the win for Coach Hanson’s Clan at home. For more photos from the SFU Home Opener visit our Facebook Page. 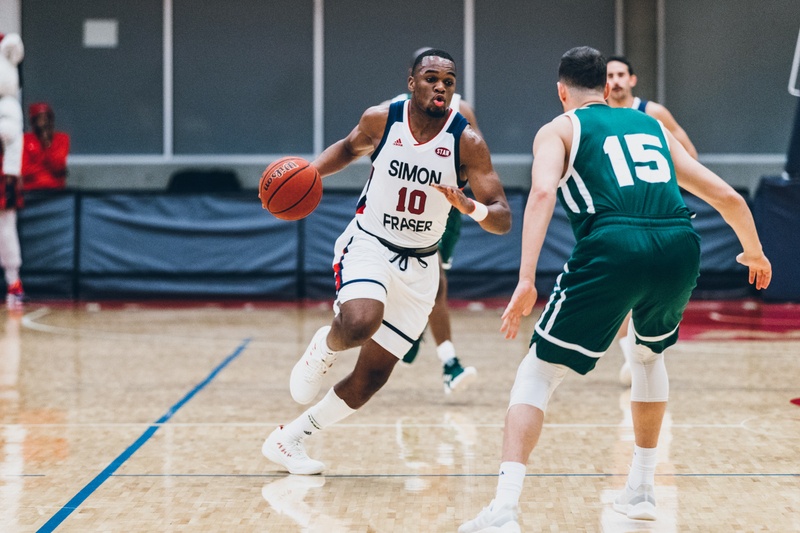 To view the upcoming Clan schedule visit the SFU Men's Basketball website here.